For Maddie Price – Eta Pi, Virginia Tech, her life unexpectedly changed seven years ago. The day she found out she made her high school varsity basketball team (as a freshman, no less) was the day her father suddenly passed away from a rare disease that everyone was unaware of at the time. “The loss of a parent is not easy for anyone, especially when you are a freshman in high school and just starting to figure life out,” said Maddie. Family dynamics began to shift. Maddie’s mother was forced to sell the family business. Other assets were sold. It has been difficult for Maddie and her family, who is still picking up the pieces seven years later. Her mother made it a priority to do everything possible to ensure both Maddie and her sister could place their education first. Maddie, who just finished her term as Chapter President of Eta Pi, was encouraged to apply for the Abigail Davis Grant after speaking with her Chapter Advisor Judie Hain Reemsnyder – Gamma Kappa, West Virginia Wesleyan College. Judie said, “While looking out for everyone else in the chapter, working hard to keep them on track towards another Golden Lion, Maddie largely keeps her personal life to herself and rarely asks for assistance, feeling that it is her job to take care of her own life and work things out without burdening others.” She continued, “Maddie is an outstanding young woman who possesses a strong moral character, work ethic, and sense of responsibility for herself and others. She is honest, conscientious, hardworking, and reliable. She has already given so much to our sisterhood and wants to continue to give and learn as an Alpha Delta Pi sister. 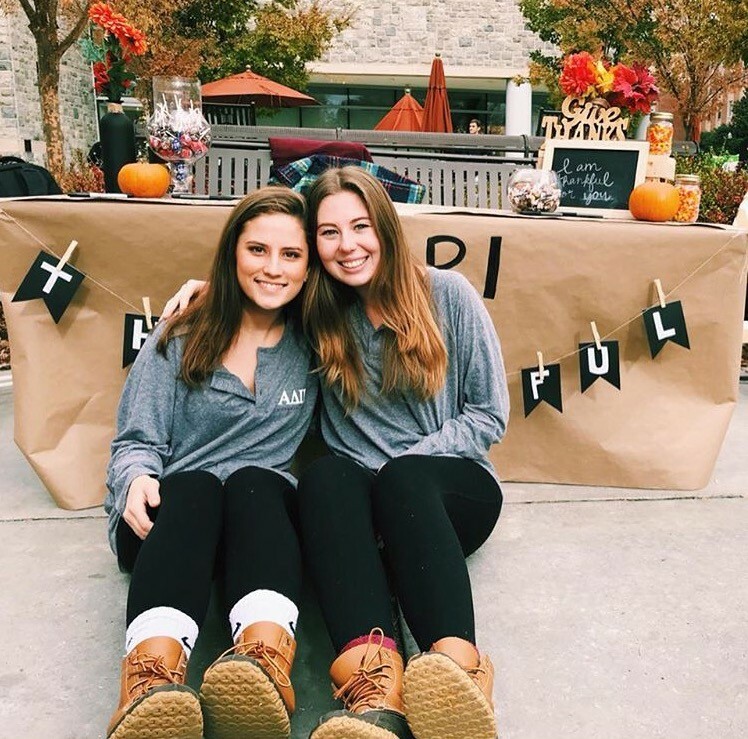 Because of the support of our sisters, the Alpha Delta Pi Foundation is able to provide emergency grants to our collegiate sisters in need, like Maddie, ensuring they stay in school and continue to reach for their dreams. You made me cry today. I love his story of hope. Thank you for making my day.